Chosen as one of the Spring 2010 Children's Indie Next List Titles! "Emma SanCartier’s illustrations are simply phenomenal and the text is a treat. The idea for the book is simple – marry the old sayings by which we live with images that not only delight but reinforce the text. Turning the pages, I read, “Some days your world is raining cats and dogs/You feel like you’re up to your neck in alligators/And you’re moving at a snail’s pace/Other days you feel like a fish out of water/Or a bull in a china shop.” And each one of these pithy sayings is accompanied by a giggle-provoking illustration that cuts across the border between adult and child reader. 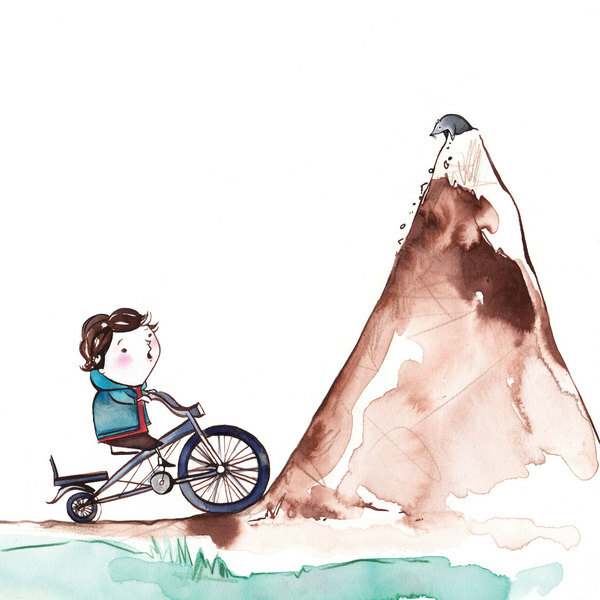 Done in what I believe to be watercolours, Emma SanCartier’s illustrations are hilarious. They readily lend themselves to that wonderful talent some have to entrance children simply by turning the pages while reading the text aloud. Ask any good children’s librarian and you will find that The World is Your Oyster is a fine new contribution to story hour." 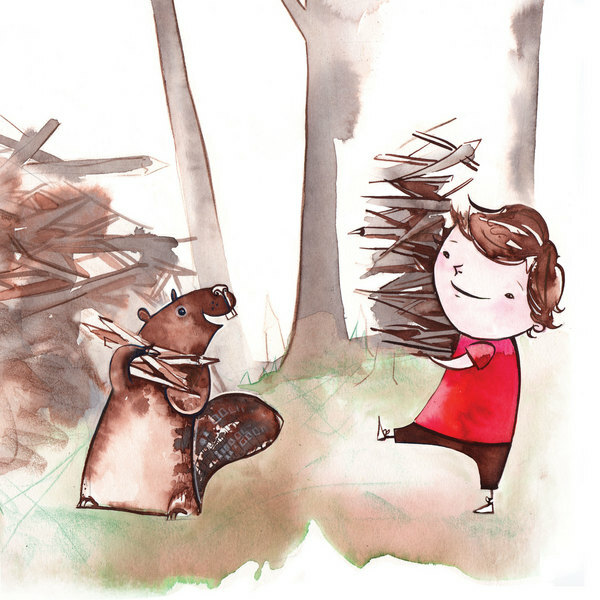 "The book takes many old sayings and turns them into a powerful, illustrated message. That message is simple - Some days life kicks you in the rump but you have the power to make it all OK, it is up to you. and don't let it Slide by you"
When I read this to my girls last week they were mesmerized. Lauren said she could read that book everyday. I believe she could, because I know I could. This is not a book to miss out on. Grab a copy, get one for a friend - pass it around - I dare you not to! 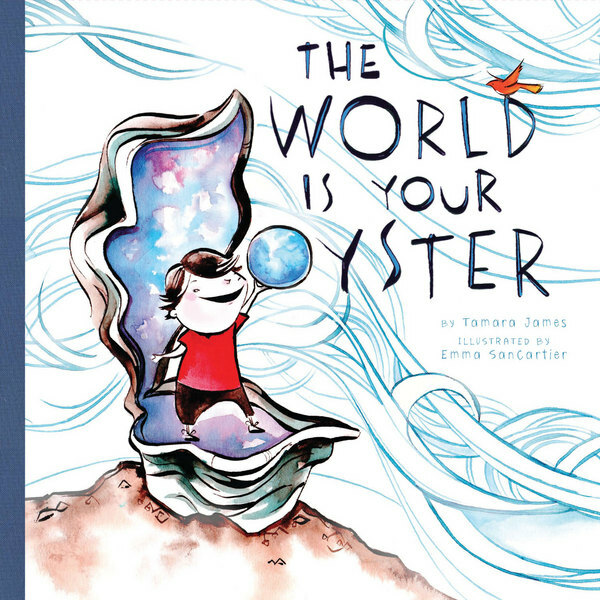 The World Is Your Oyster is a simple little book, with an inspirational tone and adorable illustrations. It isn't a story so much as a collection of commonly used idioms that have been strung together to create an 'open letter' that is very much in the spirit of the popular Oh the Places You'll Go. Some of the sentences/overall thoughts created by combined idioms are quite long, and young children may lose sight of the overall message. For this reason, we like the parts (individual illustrated idioms) more than the whole of this book (how idioms are strung together). Speaking of 'the parts', however, if you are teaching idioms to young children in Kindergarten to Grade 2, this is a great book for that. 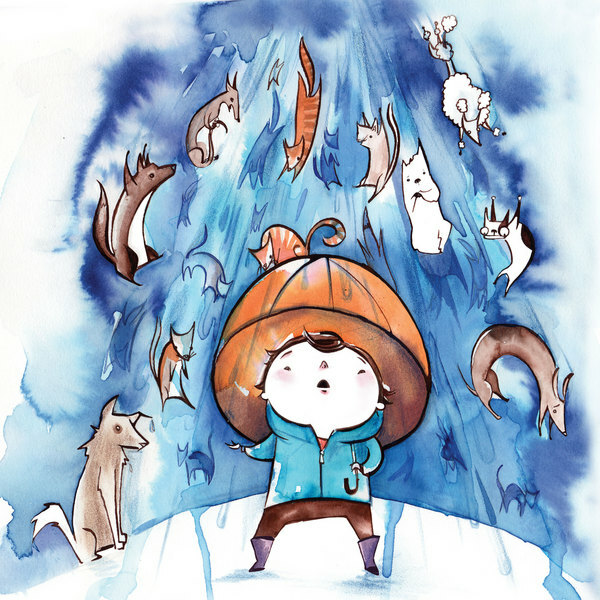 Rather than reading the idioms together to convey the overall message intended by the author, it might be more helpful to look at each idiom separately, taking time to define them and discuss how and when they are used in daily life. The illustrations are truly adorable! We have not seen books illustrated by Emma SanCartier before, but plan to look her up after stumbling across this little book.